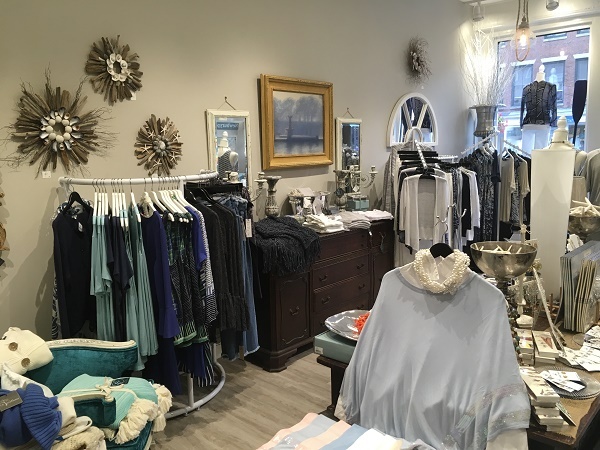 The Nauti Pearl is a wonderful Newburyport boutique that carries a beautiful selection of women’s clothing and jewelry as well as unique home decor. These items are displayed on various vintage and antique furniture pieces, that are also available for purchase. 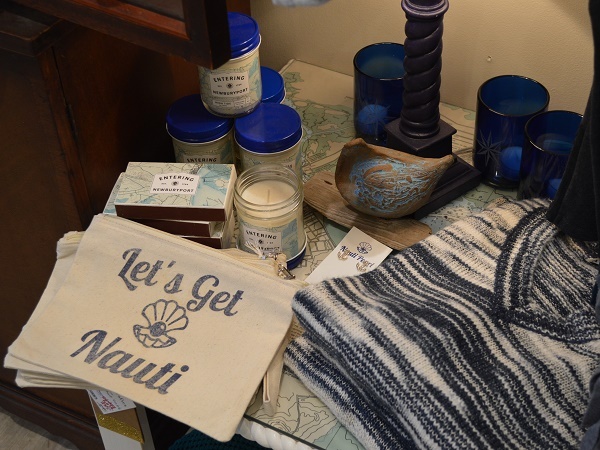 The Nauti Pearl has a coastal feel and does a wonderful job of blending classic items with contemporary fashions, offering shoppers a selection of unique finds for themselves as well as special gifts. 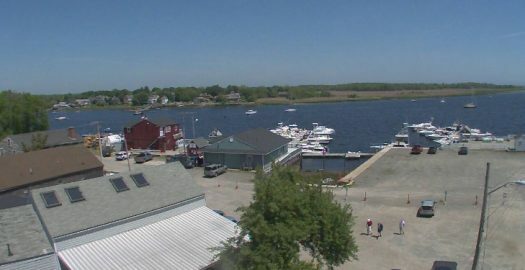 The Nauti Pearl really captures the essence of Newburyport! 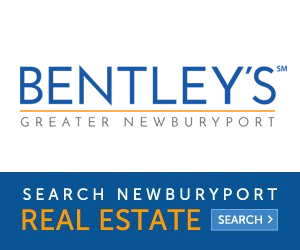 The beach theme is strong as is the emphasis on coastal lifestyle. 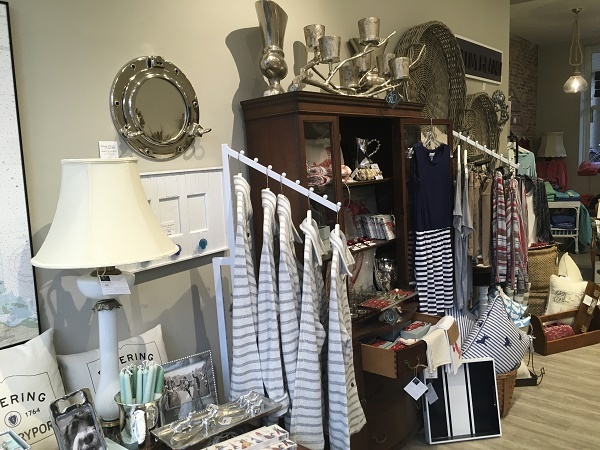 The feel and the colors of the boutique are at once welcoming and relaxing with beach glass and coral as the inspiration. 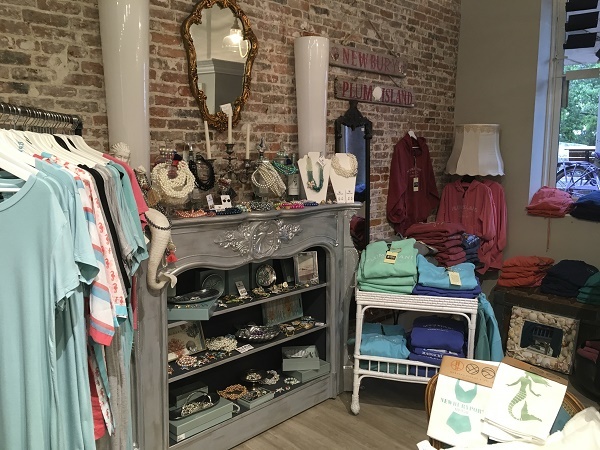 The Nauti Pearl features many top women’s clothing and jewelry brands. Nic + Zoe, Bailey 44, Three Dot, fashion brands and Parker Smith and AG denim brands are some of the most popular clothing lines. 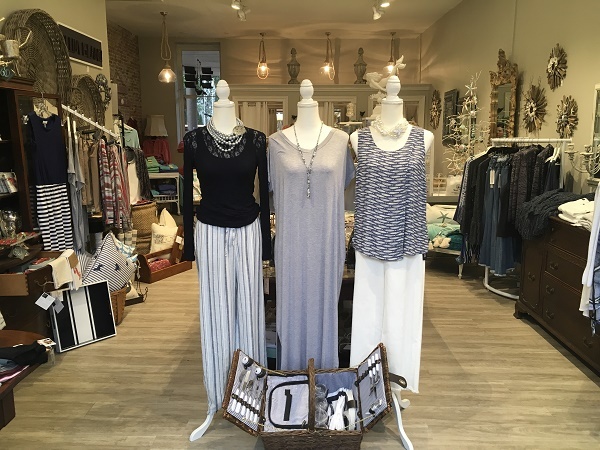 The Boutique features a number of wraps for the summer as well as scarves and ponchos for the winter. These outer layers give women the option to not only stay warm, but also to use these pieces as accessories in order to put just the right finishing touch on an outfit. 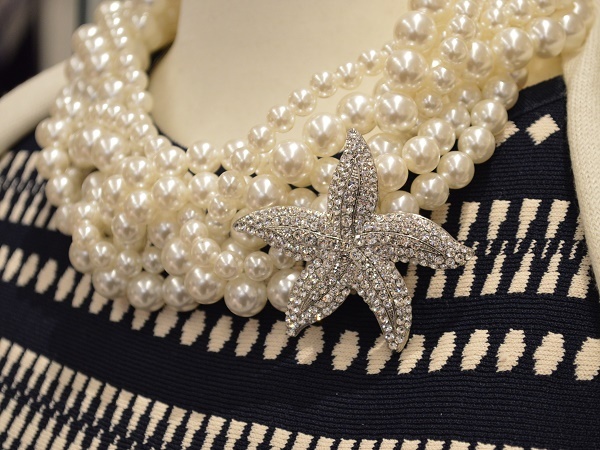 The Nauti Pearl offer a beautiful selection of jewelry in a wide range of price points and styles. 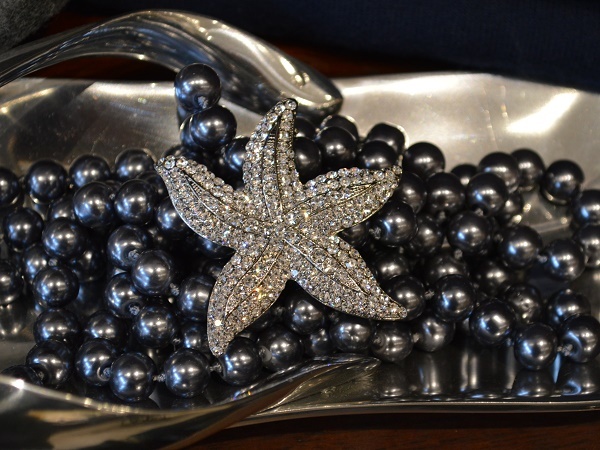 To keep with the coastal feel the Colby Davis jewelry is a classic line showcasing many stunning nautical pieces. 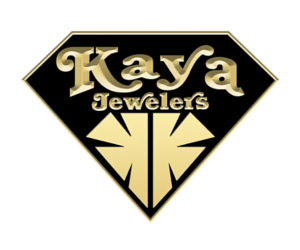 You’ll also find many affordable bracelets, necklaces and earrings perfect to put the finishing touch on your outfit. 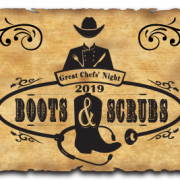 If your in search of wonderful gift items you will find beautiful wreaths and other decorative items such as napkin holders, frames wall art and ornaments. 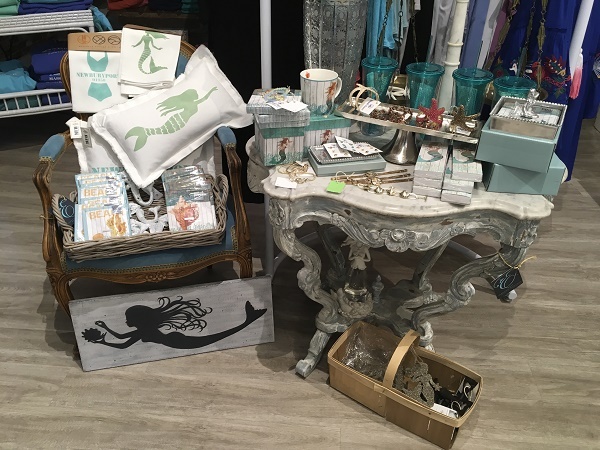 In addition the Nauti Pearl also carries Mariposa, perfect when your in search of a special gift or maybe something beautiful to enjoy in your home. 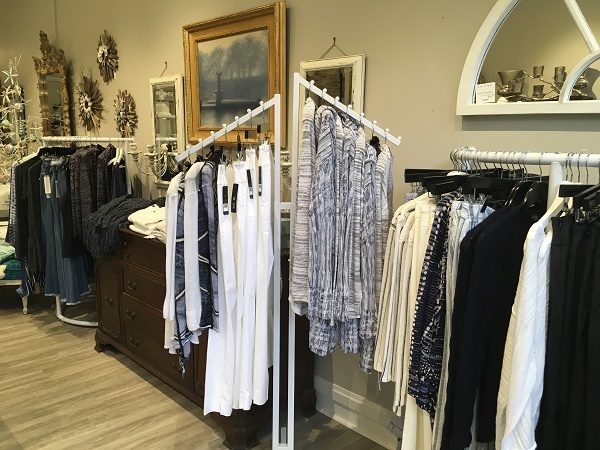 One of the many wonderful aspects of the Nauti Pearl is that the shop features women’s clothing and jewelry that appeals to multiple generations. 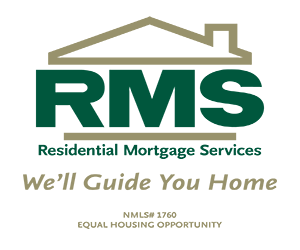 It’s a great place to visit on a “girls shopping day” for women of all ages. 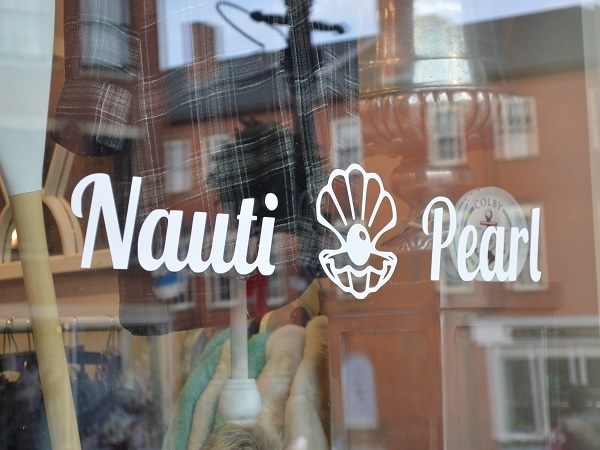 The Nauti Pearl is one gem of a shop in the center of Newburyport’s charming downtown.